British Columbia’s own Granville Island Brewing is celebrating 25-years of innovation and quality with the launch of Brockton IPA, a golden-coloured, well-hopped and refreshing India Pale Ale. Named after the Brockton Oval in Stanley Park, the Brockton IPA was chosen by Vancouverites in a series of taste tests to complement the true West Coast lifestyle. 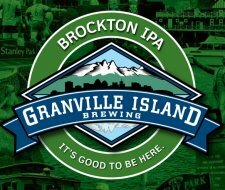 Brockton IPA is available now at the Granville Island retail store and other retail outlets. It’s also been added to Granville Island’s mixed 12 pack, where it is featured along with Island Lager, English Bay Pale Ale and Cypress Honey Lager.